The sun is shining the weather is beautiful and I feel like listening to some heaaaaaaavy bass. 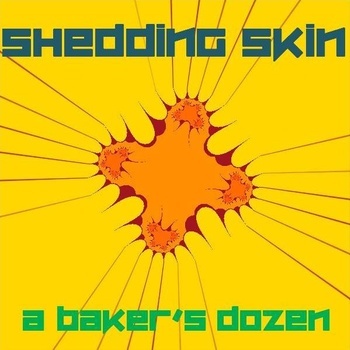 Here comes A Baker's Dozen, hailing from Melbourne Australia with his free EP Shedding Skin. Crispy clean, crunky, properly glitched basslines and stomping, chopped-up drumstep is what I need right now :) The best track on this EP - Non-Commital moves my body nicely and encourages me to do some office aerobics, effectively relaxing my neck and shoulder muscles. Listen to the preview below and cop the entire EP for free from A Baker's Dozen bandcamp.